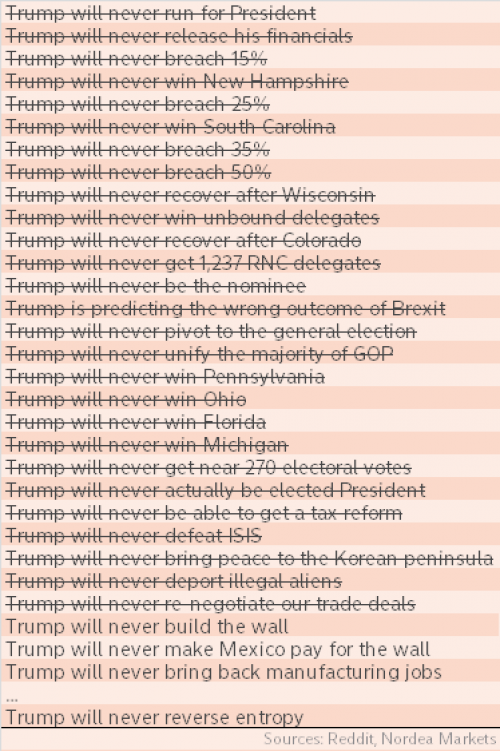 Obviously, Donald Trump became the 45th President of the United States in November 2016, and in the years, months, weeks, days, and hours beforehand, we were lied to continuously that he could not win. 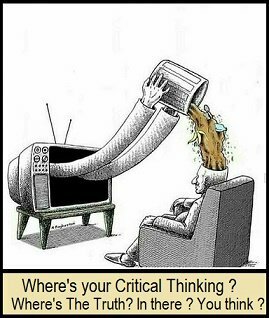 Watch the video below to remind yourself of how many lies flow from television to damage souls. Here's a list of lies breathlessly uttered about Donald Trump. Why pollute your soul with them? In contrast, the Bible has no lies, and the words of the Bible are critical for building a life and family that grows strong, conquers adversity, represents the Kingdom of God, helps sinners find life, and lives forever in the sight and praise of God. So the Bible which has no lies, tell us the truth when it says to avoid "vain and profane talk" such as the kind that literally fills television, YouTube, and even the rather dignified and stately "news". I got a dream a short while ago, that told me I need be in my Bible for my faith to grow to receive a certain blessing in my life. So I started listening to the New Testament Epistles a lot, and praying in the Spirit while listening to them. Then on Saturday September 15th 2018, while I was listening to the New Testament and praying in the Spirit, I suddenly received a blessing where I was released of a habit of reading the secular news for 30-90 minutes a day, which I had suffered under for about 32 years. Consequently, I now have 30-90 more minutes per day to seek the things of God, work, play, rest, be a good husband, ... and be in the word of God, paying attention to it and therefore preparing for the next blessing the Lord Jesus wants to send me. "Study this Book of Instruction continually. Meditate on it day and night so you will be sure to obey everything written in it. Only then will you prosper and succeed in all you do", it says in Joshua 1:8. We can deceive ourselves to think that we can get Bible blessings without following Bible commands, but let's grow up and away from these things into maturity ... and success. When we do as commanded, we have little time for other "vain and profane babblings" and we cultivate God's Word into our minds, so that we are Romans 12:2 transformed, and ONLY THEN do we agree with Jesus and can walk with Him per Amos 3:3, and experience the blessings of Abraham promised in Galatians 3:14. There are many audio Bibles both free and paid. Get one, and listen to it while you travel, and if possible, while you work.